Bitcoin price: The cryptocurrency's rapid gains this year have spurred alarm among some policymakers. Volatility in Bitcoin prices continued on Saturday, with the value of the cryptocurrency or digital currency recovering to $14,200 on Bitstamp, a cryptocurrency exchange based in Luxembourg. Bitcoin prices have swung wildly this week. From a record high of $19,666, hit last Sunday, bitcoin prices fell over 36 per cent, losing more than one-third of its value, to hit $11,159.93 on Friday. Despite the sharp fall this week, Bitcoin's price has jumped nearly 13 times this year, leading to some regulators caution the public dealing with the cryptocurrency. At 12.45 am, Bitcoin was trading at $14,535 on Bitstamp. The bitcoin price hit a high of $14,619 in past 24 hours and dropped to a low of $13,463. 1. The bitcoin's rapid gains this year - its price has soared about 19 times when it hit a record high above $19,000 - have spurred caution and alarm among some policymakers. 2. Indian markets regulator Sebi (Securities and Exchange Board of India) will come down heavily on illicit 'initial coin offers' seeking public investments with promise of high returns from bitcoins and other virtual currencies, amid a mushrooming of such schemes in the absence of any regulatory regime, according to news agency Press Trust of India. Bitcoin or any such cryptocurrency, is not an approved product by the Reserve Bank of India (RBI) or any other agency. 3. The Income Tax Department is set to issue notices to 4 lakh to 5 lakh high net worth individuals across the country who trade on the exchanges of bitcoins, Press Trust of India had reported earlier. The department, the news agency said citing official sources, found that out of the estimated 20 lakh entities registered on these exchanges, about 4 to 5 lakh were "operational" and indulging in transactions and investments. 4. Bitcoin's journey this year has been anything but volatile this year. Bitcoin hit a record high of $19,666 on Sunday, when the exchange giant CME Group launched bitcoin futures, one week after its rival Cboe Global Markets listed the world's first bitcoin futures. In November, it tumbled almost 30 per cent in four days from $7,888 to $5,555. In September, it fell 40 per cent from $4,979 to $2,972. 5. Singapore's central bank this week issued a warning against investment in cryptocurrencies, saying it considers the recent surge in their prices to be driven by speculation and that the risk of a sharp fall in prices is high. 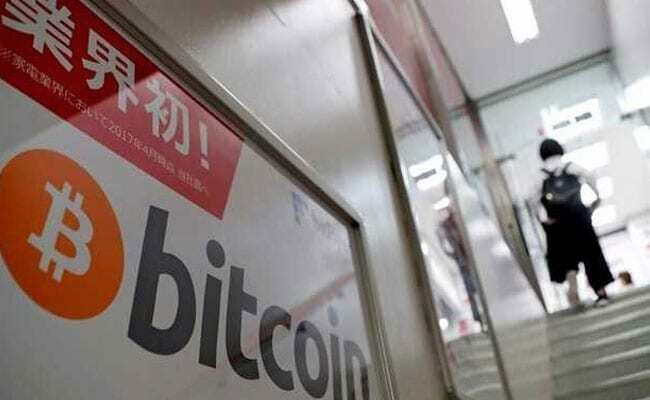 South Korea's Financial Supervisory Service said on Tuesday it does not consider bitcoin and other cryptocurrencies to be currencies of any kind. Japanese Finance Minister Taro Aso said on Tuesday that bitcoin had not been proven as a credible currency.